We have joined up with the wonderful Carrot Productions (the company behind “The Snowman Tour”) to offer you the chance to win a family ticket* to their next venture, “Wallace & Gromit’s Musical Marvels” when it comes to the Victoria Hall, Stoke-on-Trent at 7pm on 20th May, 2019. What is “Wallace & Gromit’s Musical Marvels”? Wallace & Gromit’s Musical Marvels features Wallace, the eccentric inventor, preparing to perform his musical masterpiece My Concerto in Ee Lad with help from his faithful canine companion, Gromit. The interactive experience will feature specially created animations with live accompaniment from the Picture House Orchestra (drawn from members of the Hallé and BBC Philharmonic orchestras among others) and escapades from presenter Matthew Sharp (an internationally renowned musician, actor, director and performer). The show also exclusively features a screening of the all-time classic animation, The Wrong Trousers, again with live orchestral accompaniment. It sounds like its going to be an absolutely fabulous event for all the family to enjoy! You can read more here. STEP 1: Once you’ve read the rules and T&Cs below, head over to “Typical Mummy” on Facebook by clicking here and like/follow the page if you aren’t already! Please feel free to share the Giveaway post on Facebook so that your friends and family can enter too! The giveaway closes on Friday 5th April 2019 at 9am (any entries after this date/time will not be counted) and the winner will be announced via my Facebook page on Saturday 6th April, 2019. Why not subscribe to the “Typical Mummy” email list whilst your here by entering your email address in the box at the bottom of my homepage). © TM Aardman/W&G Ltd. All rights reserved. *The giveaway prize is a family ticket (4 people, minimum of 1 adult) at the Victoria Hall, Stoke on Trent evening performance (7pm) on 20th May, 2019 ONLY. Tickets are non-transferable, cannot be used for any other performances or any other venue, and no cash alternative will be offered. There is no alternative prize. This giveaway is in no way connected to, sponsored by or endorsed by Facebook. The winner will be chosen by a random generator, unconnected to the giveaway, from all entries that have correctly completed the above tasks. The giveaway closes on Friday 5th April 2019 at 9am (any entries after this date/time will not be counted) and the winner will be announced via the “Typical Mummy” Facebook page on Saturday 6th April, 2019 . If the winner hasn’t contacted me within 48 hours I will make every reasonable attempt to contact them, via Facebook messenger/Facebook posts. If they have not responded within 72 hours another winner will be chosen at random. I will then contact Carrot Productions with the winner’s details and they will provide the prize. Entrants must be 18 or over and must not be employed by or family members of employees of Carrot Productions, Aardman Animations, The Victoria Hall/Regent Theatre or Typical Mummy. This prize draw is governed by English law and, if necessary, the courts of England shall have exclusive jurisdiction over any dispute arising in connection with it. Disclaimer: Carrot Productions will kindly be gifting us a family ticket of our own to see “Wallace & Gromit’s Musical Marvels” in exchange for a review and promotion via “Typical Mummy.” However, all thoughts and views are honest and our own. What an awesome giveaway ! 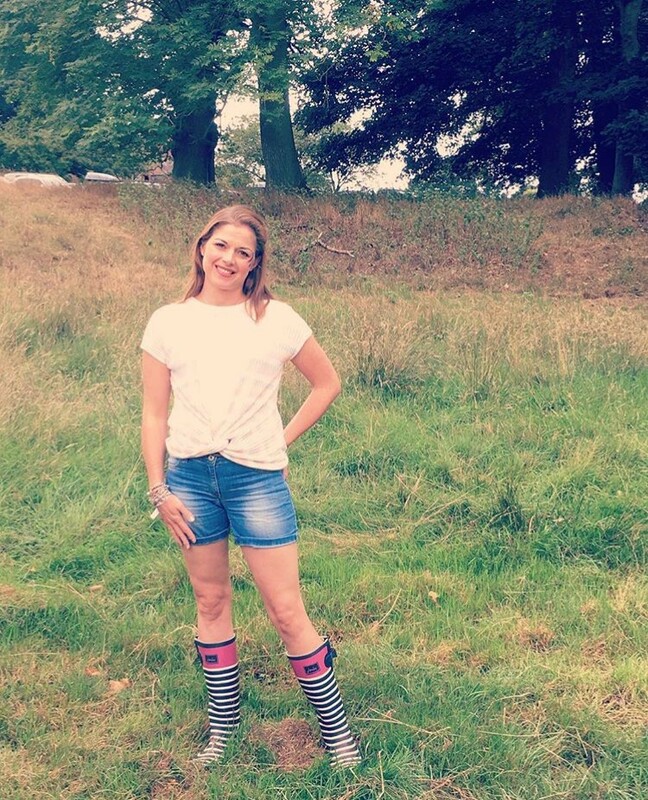 Hello, I’m Mrs J, a part-time teacher and full-time Mummy & wife from Staffordshire. “Typical Mummy” is about the places we go and things we do in the U.K. and beyond: days out, holidays, activities and crafts.